3212306883. **Please note, all guest arriving after hours MUST formally check in at the office the following day. On your day of departure please return the keys to the front desk. Should the office be closed, please drop the keys in the drop box to the right of the office door. 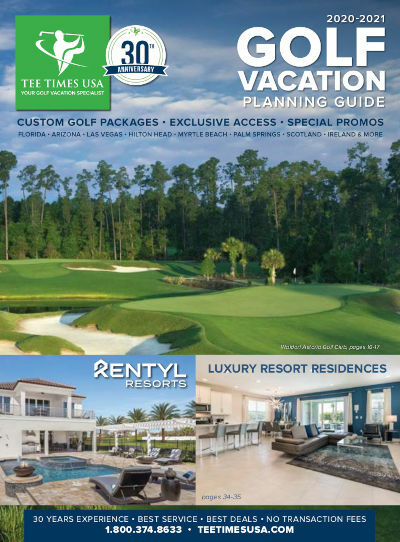 ** Thank you for reserving your golfing vacation through Tee Times USA. Great place. Clean and quiet. Not for the younger crowd but fantastic for our group of 50 somethings. Central location. Place is a bit dated but has everything you need. Fourth year at Hapimag.Great rooms and perfect location for golf trip. The townhouse we rented, was very nice and the staff very helpful. Great location very quiet. Used the hot tub to get rid of soreness and pains. Loved it! Good location and super nice staff. Will go back next year. Excellent accommodation, the townhouse provided us with everything we needed, including a well equipped kitchen and washer and dryer. The pool area was very clean and staff were friendly and helpful. Have stayed here a few years in a row. We really like it. Has everything we need, very private, very low stress. The staff have been excellent every time. Nice place.Comfortable houses with everything what you need.Clean and tidy.Helpful and friendly personal. This was our third trip staying at Hapimag.There was some mold on the tub and water under the fridge,both problems were taken care of in a few hours.Great location and large rooms perfect for golf trip. Condo was as described. Plenty of room for the four of us. Check in was a breeze. Ready for our group as we walked through the door. Clean and close to all locations we needed to be. Very nice and clean as well as spacious. Front desk was amazing and definitely do thus again ! Great place! Very clean and functional. Checked out 2/14. Very clean. Would stay here again. We were very happy with all phases of the vacation which Kevin Lewis arranged for us. The car, resort and courses were great. Weather could have been less windy and warmer. Everything was great. Location was very convenient. Everything was great and enjoyed the stay. This is our 3rd year staying here and has always been very nice. Met our needs nicely. Clean and roomy. Recommended. Excellent accommodations. Very clean and centrally located. Management was very helpful. Would recommend for any type of trip. Great place to stay.It was easy to get to golf courses.Staff very friendly.Rooms were perfect for a golf trip. This was a perfect stay. Everything was perfect: The house, the resort and the front desk staff. We'll be back for sure. Our stay at Hapimag Lake Berkley Resort was wonderful again as it has been for the last 4 years. Accommodations were very clean and ready upon our early arrival. Very clean and convenient to the courses we played. I would recommend this place and would gladly stay there again. This is the second year we have been here and I can say what else would you need. Lots of room - clean - safe - friendly - very convenient and the price seems great.I hope to be hear many times to come. Highly recommended for a golf trip. Clean. Didn't spend much time there but it meet out needs perfectly. Great price. Not the best but adequate for the price. Had 3 3-bedroom condos for our golf trip. The condos were everything we needed. Everyone was pleased. The location was perfect for us. All courses are within 35 minutes. Terrific accommodations!!! Reasonably priced - clean - nicely appointed and close to the courses. Nice area - clean and spacious apartment.a little poorly equipt in the kitchen. Great pool and friendly staff. Everything was excellant. Short drive to all courses. Great place. Great location. Very nice people. Lotsof room. Just perfect. Will be back. Room and entire area was very clean. All employees including gate guards very friendly. I felt it was an excellent value and plan on staying there again it the future. Excellent! Ideal for four golfers. We had anenjoyable stay at Hapimag. Thank You! The location was quiet and staff was friendly.Accommodations were well kept - clean - quiet and safe. Great place will be back next year. This was a great place to stay - clean - quiet andwell equipped with all you need. Would return if back in Orlando. This is a great place to stay - clean - quiet - wellequiped with all you need - would return if back in Orlando. Comfortable accommodations. Quick drive to golfcourses. The people at Hapimag were very accommodating andhelped whenever asked to. The courses were also that way. Very accommodating to everyone in our group. We wereall very pleased with Hapimag. 3rd year in a row at Hapimag - Tucked out of the waybut close enough to major attractions. Very clean and courteousstaff - good price. The townhouse is clean - bright and airy. The staff is very friendly and helpful and we really enjoy our stay there. Thank you! Hapimag was a nice place to lay your head - ustaff wastremendous - they allowed us to have an extended late check outdue to different flight departures. very nice resort.clean - quiet and well cared for. The condo was in very good condition and wellequiped. The pool area was very nice. Our foursome enjoyed thestay. Accomodations where great would stay there againwithout hesitation. A great place - they are most helpful and would highlyrecommend it to anyone. Nice quiet place clean and nice pool. A far drive fromsome of the courses we chose. The townhouse was great - clean with a lot of thoughtful touches. Highly recommended. If you have stayed at Hapimag Lake Berkley Resort, we would like to hear from you. Hapimag Orlando Lake Berkley Resort in Kissimmee is located in a quiet gated community close to all attractions and great golf. The 100 beautifully appointed townhomes are nicely furnished and include either one, two, three or four spacious bedrooms, 2.5 baths, living room, fully equipped kitchen, private patio, washer/dryer, free WiFi, and parking in front of unit. When not on the links, enjoy the many amenities this resort offers including tennis, beach volleyball, basketball, two heated outdoor pools, hot tub, kiddie pool with watergames, playground, fitness room, gazebo and fishing pier at Lake Berkley. This is the perfect resort for your golf vacation in the heart of Orlando.